with the density of the material directly influencing the component mass. Since the density of iron is e.g. 7.87 g/cm3 and the density of graphite is 2.20 g/cm3 the overall density of cast iron decreases with an increasing amount of graphite. Nodular graphite cast iron (GJS) with a high carbon content can thus reach a density of below 7.00 g/cm3. By contrast, cast steel can have a density of around 7,85 g/cm3. 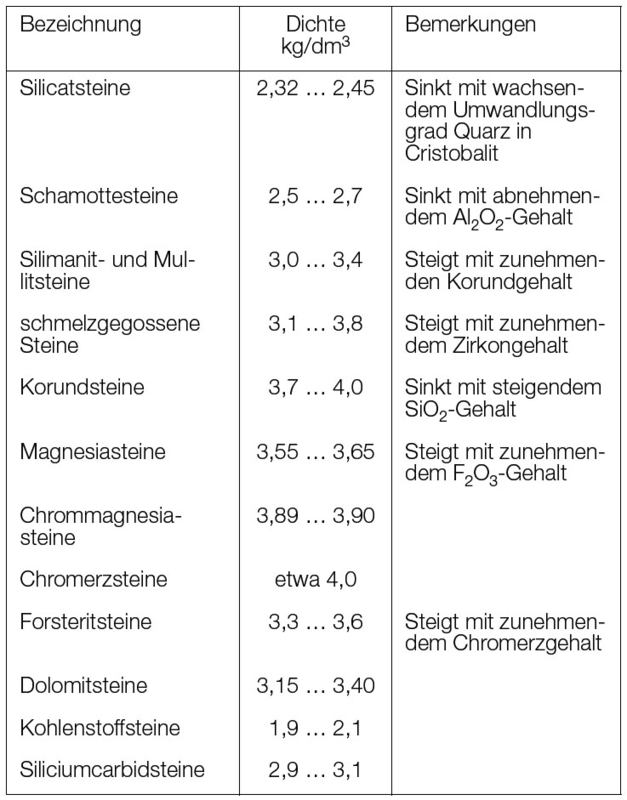 The density values of the major refractory materials are listed in the followingtable 1.